Assisting in the establishment and maintenance of the multiple and diversified manufacturing, merchandising, professional and commercial facilities and services which are associated with a shopping centre development, including retail store and service-dispensing premises; promoting the multiple and diversified manufacturing, merchandising, professional and commercial facilities and services of others, including retail store and service-dispensing premises through the distribution of printed amterials, promotional contests and an internet web site, leasing out the multiple and diversified manufacturing, merchandising, professional and commercial facilities which are associated with a shopping centre and multi-use centre developments. 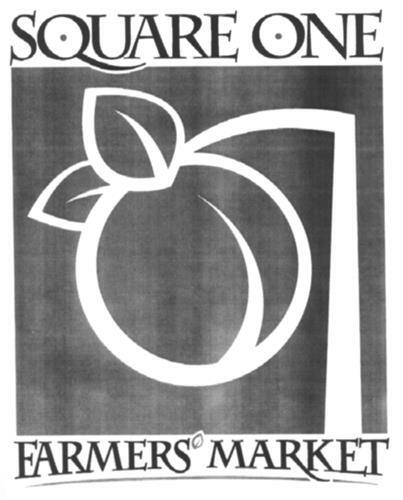 On Wednesday, July 30, 2003, a canadian trademark registration was filed for the above pictured logo by Square One Property Corporatio Square One Shopping Centre, 100 City Centre Drive, Mississauga, ONTARIO, CANADA L5B2C9. The Canadian IP office has given the trademark application number of 1186003. The current status of this trademark filing is Registration published. The correspondent listed for is MCCARTHY TETRAULT LLP of SUITE 5300, TORONTO DOMINION BANK TOWER, TORONTO-DOMINION CENTRE, ONTARIO, CANADA M5K1E6 The trademark is filed in the description of Assisting in the establishment and maintenance of the multiple and diversified manufacturing, merchandising, professional and commercial facilities and services which are associated with a shopping centre development, including retail store and service-dispensing premises; promoting the multiple and diversified manufacturing, merchandising, professional and commercial facilities and services of others, including retail store and service-dispensing premises through the distribution of printed amterials, promotional contests and an internet web site, leasing out the multiple and diversified manufacturing, merchandising, professional and commercial facilities which are associated with a shopping centre and multi-use centre developments. .
Mark Disclaimer: The right to the exclusive use of the words FARMERS MARKET is disclaimed apart from the trade-mark. (1) Lines or bands forming an angle -- Note: Including chevrons and arrowheads formed by lines or bands. (1) - Assisting in the establishment and maintenance of the multiple and diversified manufacturing, merchandising, professional and commercial facilities and services which are associated with a shopping centre development, including retail store and service-dispensing premises; promoting the multiple and diversified manufacturing, merchandising, professional and commercial facilities and services of others, including retail store and service-dispensing premises through the distribution of printed amterials, promotional contests and an internet web site, leasing out the multiple and diversified manufacturing, merchandising, professional and commercial facilities which are associated with a shopping centre and multi-use centre developments.